According to the FAO, world aquaculture production has reached a new record: in 2012 with the production of 90.4 million tonnes (for a value of US$ 144.4 billion), of which 66.6 million tonnes of fish for consumption and 23.8 million tonnes of algae, and for 2013, estimates are for 70.5 million tonnes and 26.1 million tonnes respectively. Asian countries are those where the evolution of aquaculture production is most marked while total production of all African, Caribbean and Pacific Group of States (ACP)1 represents less than 1% of world aquaculture production. In fact, aquaculture has taken time to develop in most ACP states. One of the reasons for this is that many projects focus on species that are extremely dependent on imported fish food and fingerlings–like tropical shrimp–intended for international markets and already dominated by a few countries (Southeast Asia, Chile, Norway). In the case of the IACT Pacific project2, the type of aquaculture concerned–marine algae and tilapia–is less dependent on fish food3. A large share of the production is sold on local and regional markets. In this case, aquaculture represents production of essential nutritive elements (proteins, minerals) and consequently contributes to meeting nutritional needs of local populations. However, a certain number of important questions must be answered if sustainable development of aquaculture is to be encouraged. First, many types of aquaculture depend on capture fish for fish meal, the choice of fish species that can use essentially vegetarian food produced on the spot is an important element to ensure long-term viability. 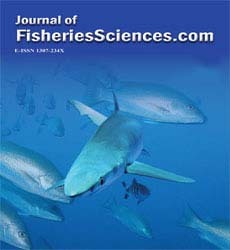 Secondly, the fact that fish produced can be sold on local and regional markets can be a positive factor in improving the contribution of fish to food security at local and regional level, and decreasing dependence on international markets where constraints associated with changing standards are increasing. The purpose of this paper is to look at the major progress made in aquaculture sector in ACP Group It also identified a number of areas to promote aquaculture development in both marine and freshwater systems. Several studies emphasize the role that aquaculture can play to fill the gap between supply and demand for fish and the potential reduction of pressure exercised on catch fish. According to a World Bank communication, aquaculture will certainly dominate the supply of fish of the planet after 2030. This activity will provide nearly two-thirds of world fish production intended for food by 2030, given the stabilization of catches of wild fish and the growing demand on a worldwide scale of an emerging middle class particularly in China. For ACP Group, Ghana, Kenya, Nigeria, Uganda, Papua New Guinea and Zambia have become major aquaculture producers in recent years with production ranging from small family farms to intensive high-technology systems. In these countries, freshwater fish are farmed with increasing success: Nigeria's modern hatcheries produce more than half a million wels catfish fingerlings per month, and the country has more than 5000 aquaculture farms. The production of tilapia has also greatly increased, particularly in Zimbabwe and Ghana, and the entire production chain is growing: hatcheries, farms, production of quality fish food, etc. For aquaculture planning, several ACP countries have made significant progress in developing commercial aquaculture (particularly fish farming) and their success can be used elsewhere to the benefit of other ACP countries. The certain countries like Nigeria, Ghana and Zimbabwe, Papua New Guinea, Jamaica and Belize have considerably developed their aquaculture production, to a large extent using freshwater species like tilapia and shrimp as a secondary product (.Failler P & El Ayoubi H, 2015). Other countries, specifically Madagascar, have given aquaculture new drive and life thanks to shrimp farming. Namibia has developed mariculture based on farming sea cucumbers, lobster, oysters and shellfish. Development of national aquaculture frameworks in several ACP countries began by defining national fishery and aquaculture management strategies. However, and although frameworks for aquaculture generally are little developed at ACP country level, regulations or tax schemes exist concerning rights to exercise this activity, as is the case in Belize and the Seychelles whose aquaculture development plan is scheduled for 2015. In addition, incentives are used by governments in certain countries like Benin (Failler & El Ayoubi, 2013) which adopted a framework offering specific conditions for aquacultural investors, such as tax exemption on imports up to nine years for new producers to develop aquaculture. In other cases, the Fishing Code in force does not include specific measures for aquaculture, as is the case in Guinea where this activity is still marginal. 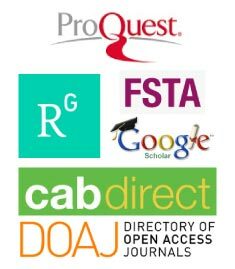 However, review of the framework is going forward to take account of these aspects, particularly access to land which is still challenging [Figure 1]. 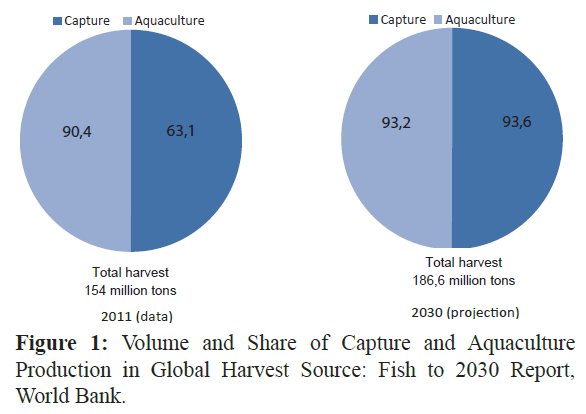 Figure 1: Volume and Share of Capture and Aquaculture Production in Global Harvest Source: Fish to 2030 Report, World Bank. On the question of improving infrastructures, several ACP countries stress the poor condition of their roads for gaining access to aquacultural production zones located in rural areas. Currently, large aquacultural farms must integrate the cost of building access roads in their budgets, as is the case in Benin and Nigeria for example. As concerns specific infrastructures for aquacultural activities, these are projects entailing an extensive system of small-scale producers using ponds, at times alongside dams, to produce fish (fingerlings and fish). Generally, the investments made are limited to the production basin and ponds. In fact, fish food producers in these countries only produce floating rations for fish, and fish food continues to be imported to producing countries (Nigeria, Ghana, Senegal) and in the absence of granular fish food, this represents a high cost for producers and explains the difficulty of having access to a quality, profitable food product. So the progress recorded in terms of developing infrastructures is still limited and there are few achievements at this stage. Namibia is one of the exceptions. Indeed this country has set up an aquaculture Master plan and invested massively in the development of infrastructures such as ponds, reproduction units, fish food factories while encouraging public-private partnerships in aquaculture. The country has also set up a centre of excellence, the Kamutjonga Inland Fisheries Institute (KIFI) that is supported technically and financially by CETMAR, FAO, Cuba and Vietnam. Several technical assistance projects have been carried out in ACP countries. Some of them were done via South-South cooperation with the support of Asian countries (Vietnam, Thailand). Japanese cooperation also is active in several African countries with projects geared mainly to generalizing extensive aquaculture by families. Finally, the ACP Fish project contributed to reinforcing national and regional research strategies by training players in the public and private sector in the aquaculture field and by improving food rations for developing aquaculture in Mozambique. The project also supported institutional aspects by contributing to drafting the aquaculture development strategy particularly in Botswana, and reviewing the national policy in Mali. In 2002, a new project financed by the EU and managed by the FA0 was launched in Uganda, Kenya and Zambia to promote aquaculture as an instrument to fight hunger. This was part of a more general policy targeting aid to low income countries with deficits in the fish sector to develop sustainable aquaculture policies. As concerns developing markets, according to the FAO currently 38% of all fish produced is traded internationally, and more than two thirds of the value of exports of fish products in developing countries are intended for industrialized countries. Although aquaculture plays an increasingly large role in the world trade of fish (about half of the trade), the sector is relatively underdeveloped in ACP regions. Consequently there are still several questions about access to markets that trouble ACP governments, but many potential fields of action could reinforce the contribution of the fishing sector to national economic development. Sub-Saharan Africa, conversely, should see its fish consumption per capita decline by 1% per year from 2010 to 2030. However, given the rapid demographic growth of 2.3% during the same period, total fish consumption in the region will grow by 30%. Ã¢ÂÂªAccess to regional markets is easier for industrial operations that are familiar with distribution and supply circuits. Operations of this kind are limited and are found mainly in Nigeria, Ghana, Benin, Namibia and in Belize. Regional markets, like the ECOWAS, facilitate the development of trade. Ã¢ÂÂªLocal markets: these are mainly products intended for the national urban or rural market. The rural market constitutes an opportunity to meet the needs of the population and to replace frozen fish. Ã¢ÂÂªInternational export market: tropical shrimp produced in Madagascar and marine algae. The application by the EU of sanitary and phytosanitary standards (SPS) and requirements for the security of food products limits access of aquaculture products from ACP countries to these markets. FAO studies have shown that improving aquaculture production offers considerable physical potential to respond to a rise in demand for fish. A new FAO study shows that aquaculture benefits local communities (REF). Access to land for aquacultural investors is very complex and varies from one country to the next. The lack of clarification of the laws on water and land use in national legislation constitutes a constraint for developing fish farming in cages like in Lake Volta. Indeed, land ownership often represents a major constraint in rural areas. In addition, aquaculture is faced with the question of environmental sustainability -- in an extensive scheme, practiced by small-scale producers, it must deal with issues pertaining to food security, quality and traceability. Aquaculture is in competition with other rural activities for the use of water and is likely to be subject to growing pressure on the limited water supply, all in a context characterized by growing diversification and climate change. What is at stake is better optimizing production systems, particularly in fresh water, and controlling costs of the fish food needed, which also requires additional use of fresh water. Fish farming is still in the development stage in many ACP countries, and can learn from the experience of regions like Asia or Latin America, where the aquaculture industry has already taken off. However, this experience indicates the risks run by the coastal environments due to the major use of inputs from capture fishing (fish meal and fish oil). In June 2013, the CTA organized a Briefing on development in Brussels pertaining to fish farming. It brought in various experts to discuss the stakes and opportunities of developing aquaculture in ACP countries to ensure food and nutrition security. The meeting underscored the need to develop aquaculture in a sustainable way both from the social standpoint and that of the economy and the environment. National strategies and policies on developing aquaculture still need to be generalized in ACP countries. These strategies must be realistic, specific and have clear objectives. The definition of the roles and responsibilities of each sector: government, private sector, research, market, NGOs, should facilitate the implementation of strategies now being developed. Access to production sites (infrastructures), land use and the nature of the tax regime can act as incentives for developing aquaculture. Finally, taking environmental standards into account in the development of the activity should allow for sustainable aquaculture. Regional trade agreements can play a beneficial role in developing markets for aquaculture from ACP countries. As an example, setting up the customs union in the East African Community of which Uganda, Kenya, Tanzania, Rwanda and Burundi are members, considerably improved free movement of goods in the region, including for fishing by-products (fingerlings sold directly for fish farming, fresh or processed fish). With the probability that South Sudan will join the EAC, the perspectives for extending the trade to new markets will be improved. Finally, strong demand for fish on national and regional markets in Africa will lead to a change in the destination of certain products like tilapia. For example, the largest tilapia farm in Africa, located in Zimbabwe, which had developed strict European norms of production, now mainly supplies African markets for 90% of the production and 10% to the EU market. The aquaculture production can provide some affordable animal protein to the rising population of ACP. The ACP Group is now engages with its strategic plan of action in fisheries and aquaculture to promote significantly aquaculture development in both marine and freshwater systems. This Plan identifies support for aquaculture production in 4 main areas: (1) Regulatory framework; (2) Infrastructure; (3) Technical requirements and (4) Market development. Several initiatives to promote aquaculture are developed in ACP group. However the new initiatives should be in line and supplement these existing activities. Development of aquaculture in ACP group should meet the requirement for sustainable development: environmental sustainability and economic sustainability including trade issues. FAO, 2014, States of the world fisheries, FAO, Rome, Italy, 243 p.
Failler P & El Ayoubi H, 2015. Review of the fishery and aquaculture context in the ACP countries regarding the 5 priorities of the ACP Strategic Plan for Actions for fishing and aquaculture. ACP report, Brussels, Belgium. 53 p.
World Bank 2013, Fish to 2030: Prospects for Fisheries and Aquaculture, World Bank Report Number 83177-GLB. The World Bank, Washington DC. USA, 102 p.